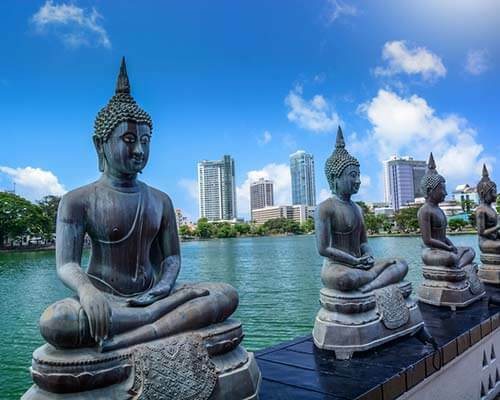 Sri Lanka has already emerged into the global limelight as a most favorable tourist destination in the last couple of decades. 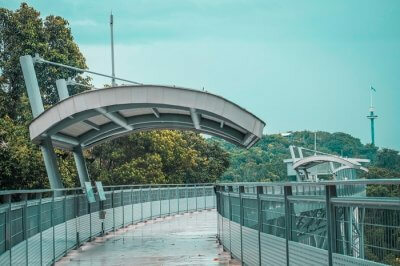 Your trip to the island nation will remain incomplete without exploring its ancient and modern urban establishments besides other notable places you visit. Kalutara is one such popular city in the country’s Western Province that has fast developed into a tourist spot nowadays. Being the administrative headquarters of the Kalutara District and also due to close proximity to the capital city, Colombo at just 40 kilometers or less distance, this city always seeks the attention of Sri Lanka visitors. There are many places to visit n Kalutara. Indeed, this region has been boasting with several notable places where tourists visit to know its golden past and vibrant present. According to historical findings, the area was temporarily made capital of the erstwhile rulers under the influence of South Indian Prince in the 11th century. As one of the select few ancient cities of Sri Lanka, this city keeps the tourists engaged when they plan their visits to the fortifications especially Kalutara Fort that exists since the periods of Portuguese, Dutch and British ruled to this region. 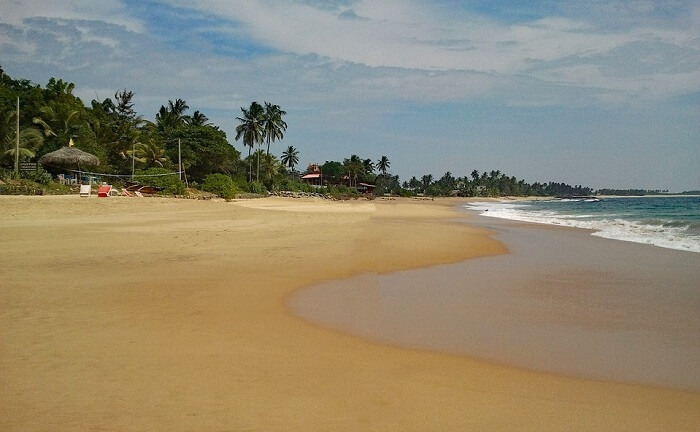 Here we enlist 10 most important places to visit in Kalutara. A traveler should consider Sri Lankan itinerary incomplete without adding these locations in it. This place is also religiously significant thus religious devotees keep flocking here. 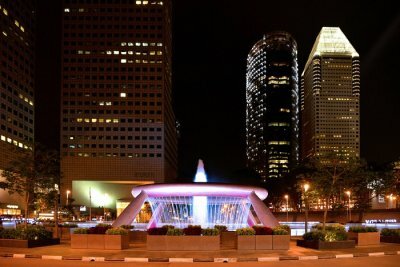 The list below includes the popular amongst all famous tourist places. 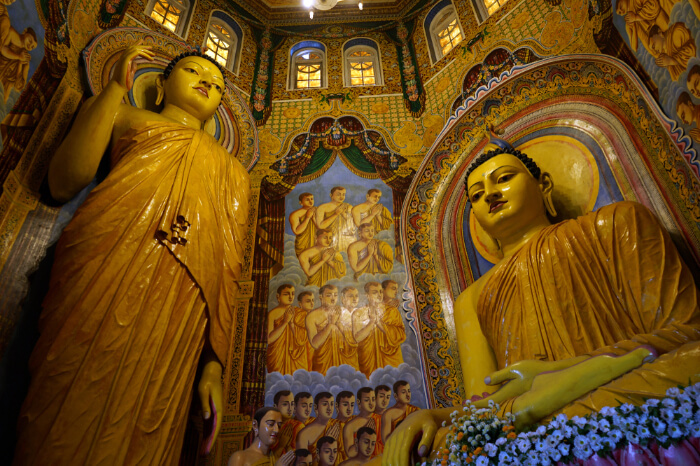 A sacred religious site of the Buddhism religion, Kalutara Bodhiya remains a must visit the location where Buddhists seek to visit at least once in their lifetime. Buddhists from around the world venerate this sacred place to involve in the special prayers upon their arrival. They keep worshipping at this place beside their involvement in the offerings at the Kalutara Bodhiya or the Bodhi Tree which is believed to exist since 2nd century BC. According to the Buddhist belief, it is one out of the 32 Jaya Sri Maha Bodhi saplings. 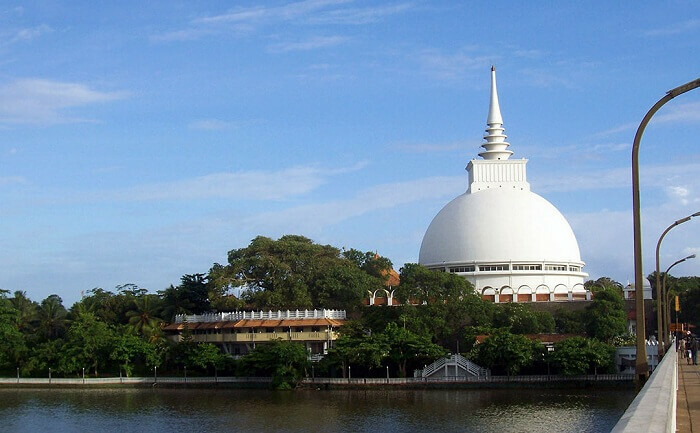 That is why it remains a sacred location where Kalutara Viharaya Buddhist Temple and also famous Kalutara Chaitya Stupa nearby sacred fig turns this location venerated for the visitors. Located nearby the Kalutara city, historic Edwardian mansion, Richmond Castle is a worth visiting place in Sri Lanka. 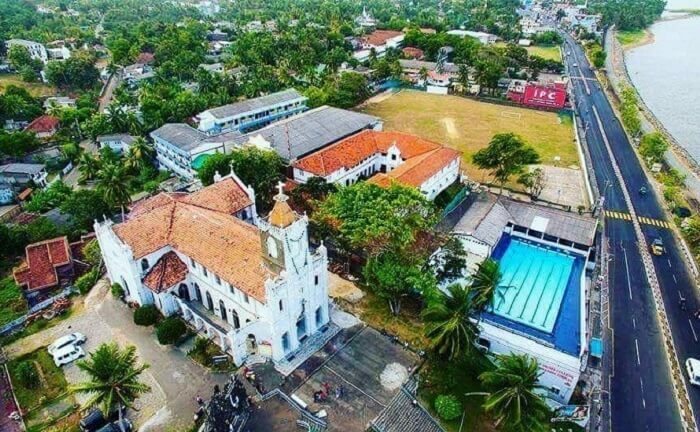 It took 10 years from 1900 to 1910 that this popular mansion was built to finally become the seat of the Mudaliyar Don Arthur de Silva Wijesinghe Siriwardena for administrative purpose. Today it remains one of the select few major tourist destinations in this region. This two-story building has 16 rooms whose 34 windows and 99 doors appeal to all visitors. As a Sri Lankan architectural marvel, its construction remained unique. Its essential stuff had been imported from various countries that included its Italian floor titles; Burmese teaks grape vines to glass décors from Scotland and bathroom fittings to iron stairs from England to name a few. This tourist spot is highly rushed nowadays. Sri Lanka is known for its finest beaches. 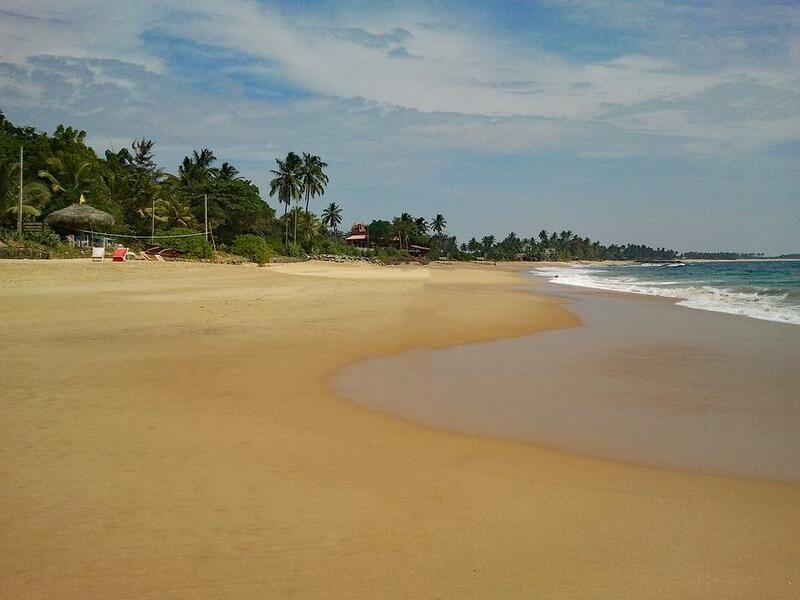 Kalutara Beach comes in the list of select few best beaches in the world. 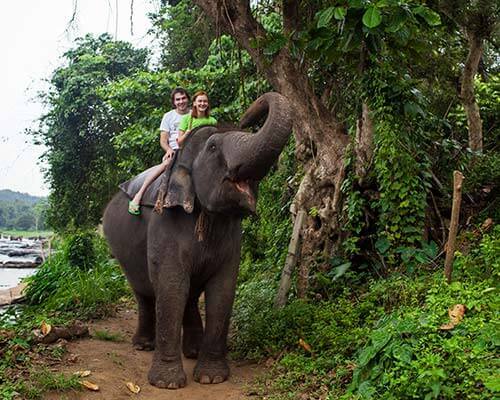 As it is located at a distance of just 40 kilometers from the capital city Colombo, it is easily accessed by the visitors every day. This sandy beach remains filled with the tourists who enjoy in leisure here. Scenic view of this beach in the northern side or Mahawaskaduwa appeals more compared to its Katukurunda or southern side. As this beach is still not spoilt too much, it remains a popular landmark for the tourists delving into the fun activities. Located in the Thudugala village of Kalutara District, Thudugala Ella Waterfall is a major landmark in Sri Lanka. 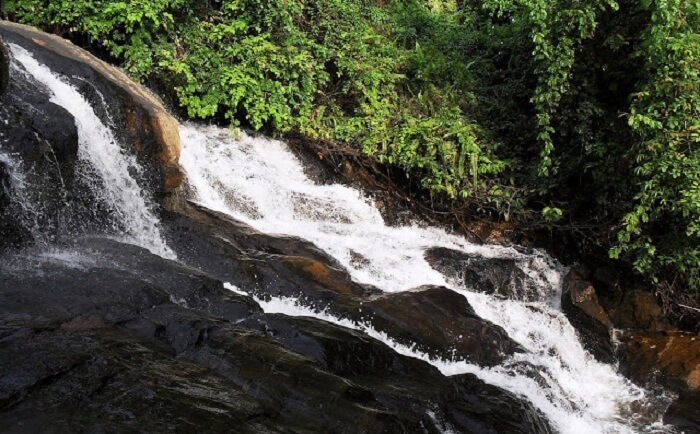 Total recorded waterfalls of the island nation are approximately 382 out of which Thudugala Ella Waterfalls ranks at 268th position. This waterfall is visited by large chunk of tourists today. They enjoy bathing here. It has become a famous bathing place nearby the ruins of the erstwhile British estate wrecks. Waterfalls’ natural stream pool look amazing as Ketala plants and the ferns surrounding it. Several migratory and local birds are witnessed nearby this waterfall in the forest reserve close to it. As the waterfall is well connected to many nearby cities by railways and roadways within 15 kilometers, visitors keep flocking here every day. Keep a visit to this waterfall in your itinerary in a future Sri Lankan trip. 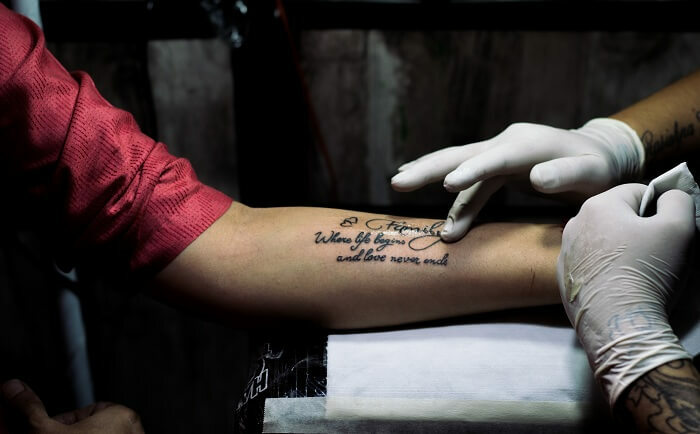 Kalutara in Sri Lanka is always flocked by the travelers at its West Coast Tattoo Studio for tattooing purpose. This studio is a famous name in the country. It is denoted with the metaphor ‘talent hub for tattoos.’ You are provided with the variegated choices to get tattooed through the artworks on your body. This studio is popular name as a tattoo parlor where countless types of tattoos are advised. That is why travelers, especially foreign travelers keep visiting here. 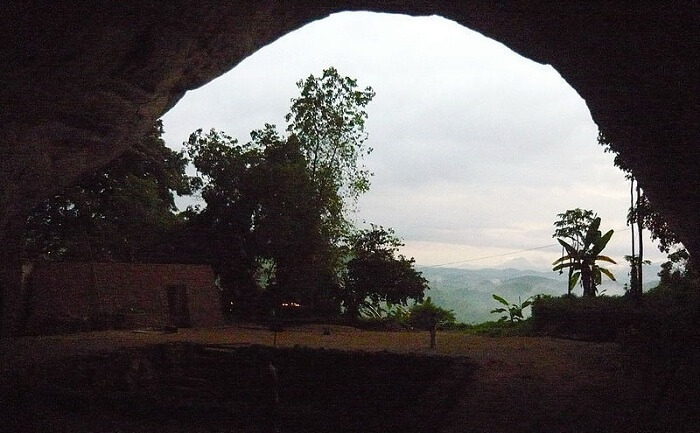 A famous landmark in the Pahiyangala area of Kalutara in Sri Lanka with its global significance, Fa Hien Caves are travelers’ paradise to witness the historical facts. It is also popular by its other name Pahiyangala Caves. As the rural legend describes about the name of Fa Hien Caves, it had been named after one popular Buddhist monk in the ancient era, Faxian who was also called Fa-Hien and Fa Hsien. Neither historians not archaeological evidences though confirm such evidences or facts. These caves came into limelight in the recent past during 1960s, 1980s and even in 2013 during the excavations that found the Pleistocene human fossilized skeletal remains there. These caves are sought after amongst the large chunk of travelers who come here to witness the ruins of the ancient era. 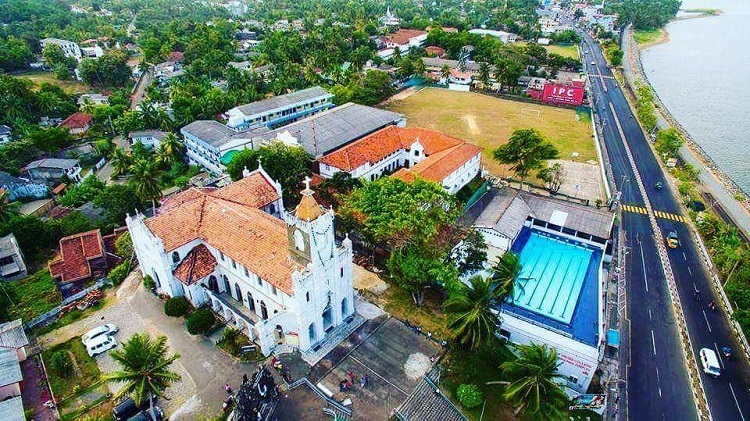 Located at the Galle Road in southern Kalutara of Kalutara District in Sri Lanka, the Holy Cross Church Kalutara is a beautiful sacred site for Christians. It welcomes large chunk of tourists irrespective of their religious faiths. The elevated position of this church makes it a notable landmark in the region. Architectural beauty and its ocean-facing entry makes it appealing structure in the Sri Lankan coastal area. This church is well connected by the roadways, railways and even airport. Both interior and exterior beauty of this church makes it an architectural marvel. Its impressive arches are highly appealing. Sri Lanka boasts itself by housing several renowned museums that have already gained global rankings. 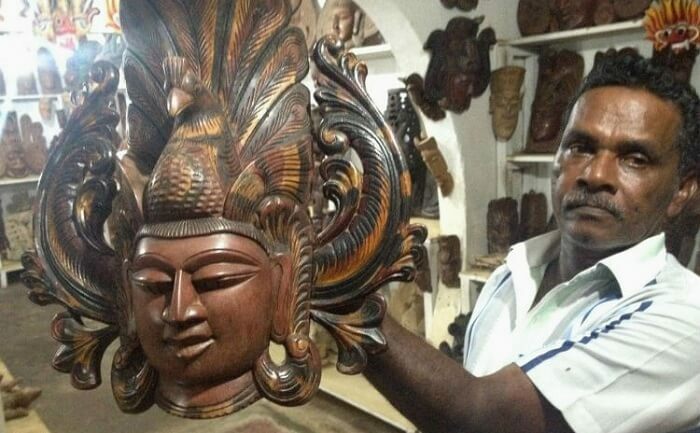 Famous in the Kalutara region, Ranjiths Carving and Batik Museum is rushed by the tourists throughout the year for showcasing country’s traditions. This museum is considered one of the select few most attractive places in the island nation that always find place in tourists’ itineraries. 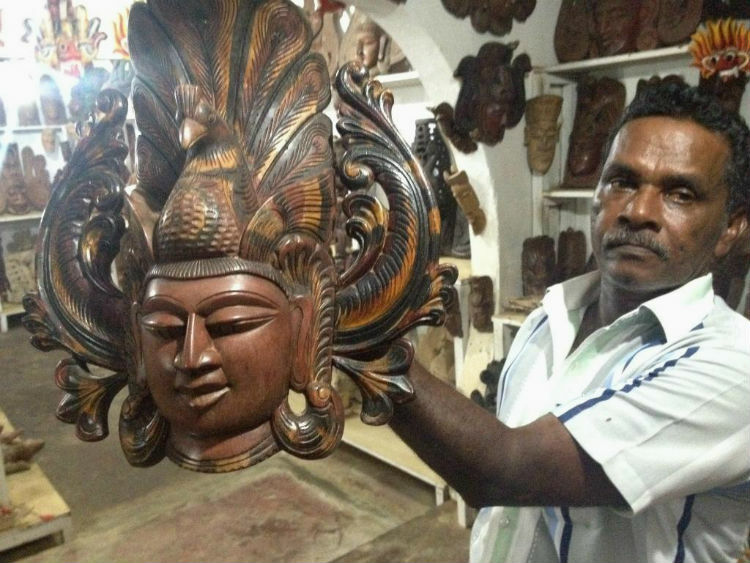 It is famous for the vast collection of traditional Sri Lankan arts and crafts. Visitors closely monitor them to have a glimpse of such traditional artifacts during their visits here. 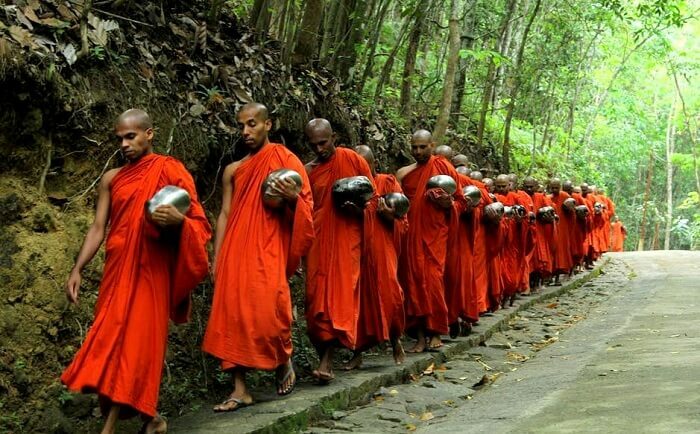 Buddhism religion has close connectivity with the island nation Sri Lanka. As this country houses several sacred religious sites including the famous Asokaramaya Buddhist Temple, large chunk of devotees keep flocking here every day. 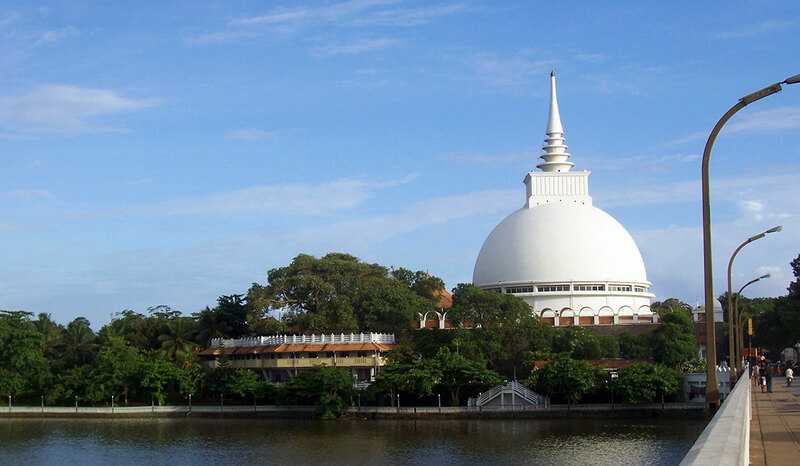 This sacred religious site is located in the northern side of Kalutara. 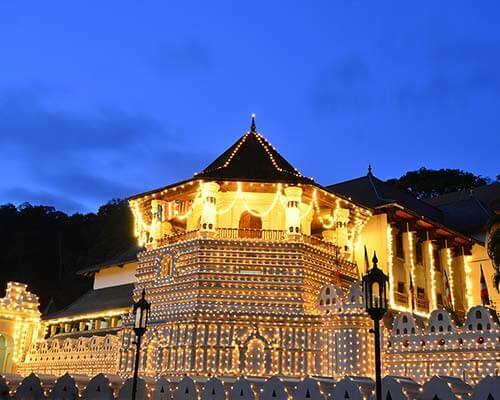 The main purpose to build this temple in 1870s was to shelter the Aluthgama Sangharatne disciples who used to gather at this spot for hearing sermons of the Buddhist monks. 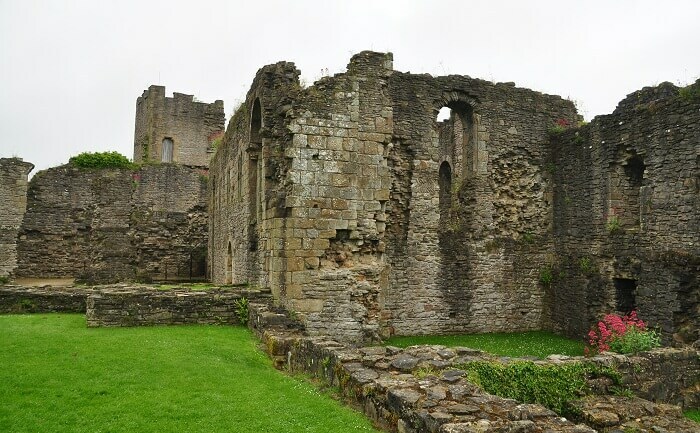 The temple has witnessed tremendous expansion over the centuries. 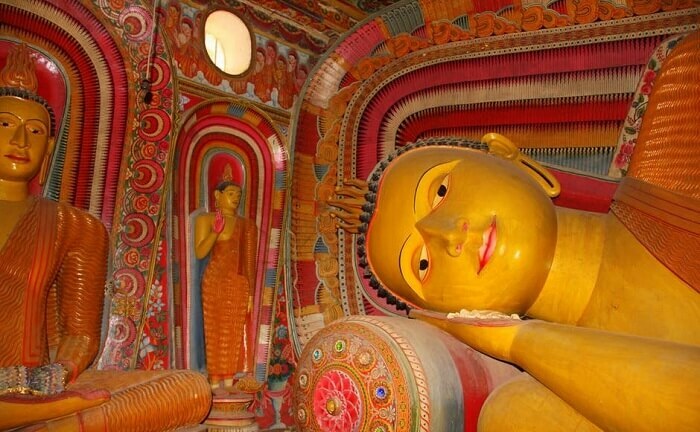 It has become a mandatory visit in the itineraries of Buddhist travelers coming on the Sri Lankan trip. 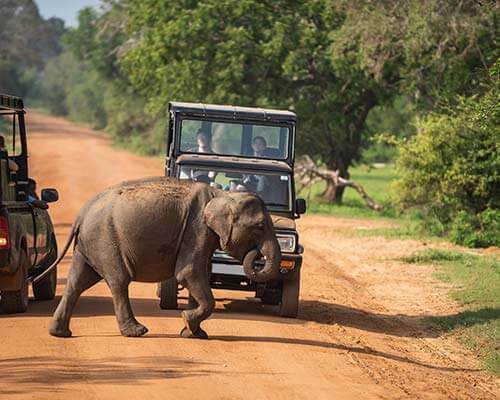 A country with its rich natural resources and wildlife, Sri Lankan itineraries make a visit to Bodhinagala Forest Hermitage in the Ingiriya area of Kalutara mandatory. It is famous for serenity and fresh environment. This forest hermitage is also denoted with Dombagaskanda located at the Kalu Ganga River banks. Undoubtedly, this hermitage is today a popular landmark in the region. Its natural rainforests literally separate the hermitage from the bustling urban lifestyle. That is why Bodhinagala Forest Hermitage remains sought after location for the nature lovers. 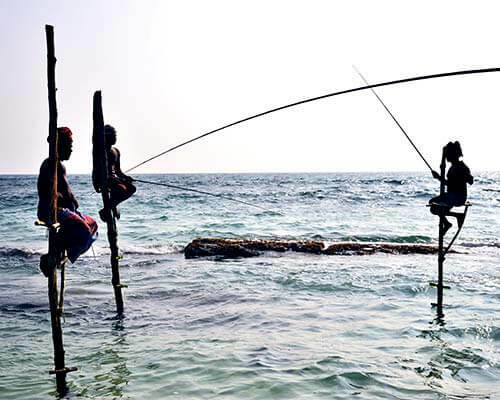 It goes without saying that Sri Lanka offers good variety when it comes to entertain and keep the travelers hooked. 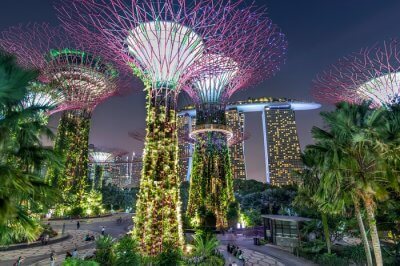 Today, this island nation has already gained global popularity as a country with its best tourist-friendly features. Kalutara is one of the most popular places here where the large chunk of tourists arrive to explore variegated beauty and tourist spots. Above mentioned 10 places are the notable ones without which your Sri Lankan tour would literally remain incomplete.